We Buy Cars in Mobile AL. Payment & Towing in 24-48 Hours! Sell your car in fast for a fair price. Enter your Augusta GA zip code below to find out how much your car is worth. Getting around Mobile, AL, should be easy, with I-10 and I-65 both right there, but when you can't even make the drive to the interstate, it's time to get rid of your car. When your car isn't bright and shiny, but rather has rust, damage from an accident or is not running at all, you have few options. Even trading in a junk car is difficult, because most dealerships in Mobile County have no knowledge of how to assign accurate value to a damaged vehicle. Trying to sell your junk car will get you no better luck, because private buyers aren't interested in cars that don't run or have serious cosmetic issues. The junk yard doesn't work either, because they will give you only the value of the scrap metal, which is at historic lows right now. Where can you turn for help? DamagedCars.com will buy your junk car for a great price with a quick and easy selling process. We give you an instant car offer for damaged or salvage cars, and your offer is guaranteed! We base our valuation on fair market value including the condition, location, year, make, model and any special upgrades or features your car has. When you sell to us, you never have to haggle, and you'll be paid at the time of pickup. If you want to sell your Mobile car to us, we make it fast and simple to do so. Even if your car doesn't run or has been in a wreck, we'll provide a fair offer and buy it quickly, no matter the condition. As you can see, even if your car has serious problems, we will buy it, and we will buy it quickly! What do I need to sell my car in Mobile AL? Selling your car to DamagedCars.com is simple. All you need is a vehicle title and the keys. The state of Alabama requires you to have the title in order to sell your car, no matter its condition. If you have vehicle registration and an Alabama Bill of Sale, bring those as well. The rest of the process we handle for you! We will make sure the title transfer in Alabama goes smoothly, so you can get paid quickly. Curious how much your car is worth? 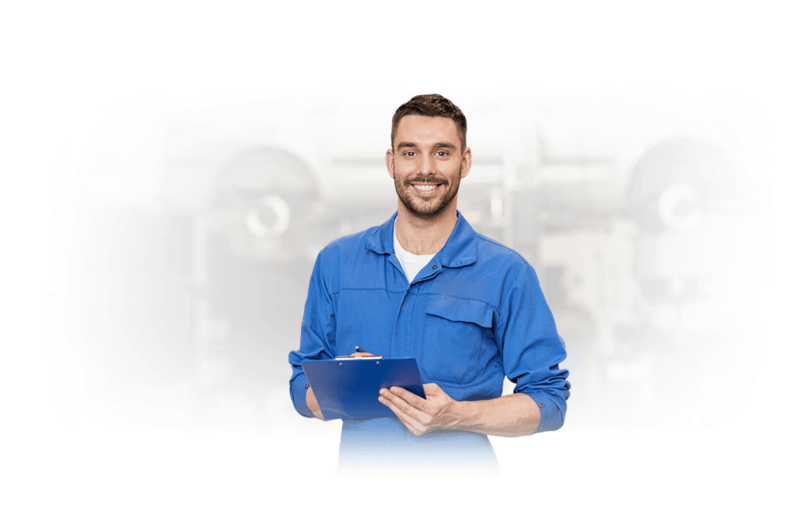 We have over 11 years of experience valuing cars, including hundreds of thousands of cars. 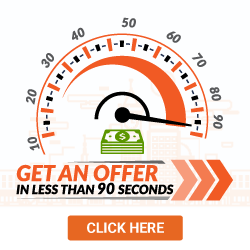 That means we can give you an offer in as little as 90 seconds! 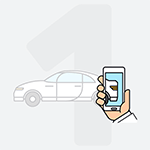 Your offer is personalized to your Mobile, AL car. It is the real, honest value of your car, no matter its condition. Our "Cash for Cars" program in Mobile AL lets you get money quickly for an old or damaged car. 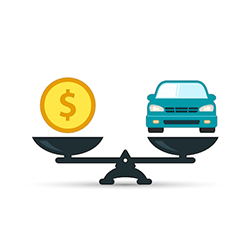 It's quick and easy to find out how much your car is worth. Simply enter vehicle details in our online form, get your offer and accept! We'll come to your home or office to tow away your car within 24-48 hours, and we'll bring a check with us! Do you think of New Orleans when you think of Mardi Gras? Think again! Mardi Gras actually originated in Mobile, AL, and it's still a huge celebration in the city. If you're thinking of heading into the city to celebrate Carnival and Mardi Gras, but your car isn't working, DamagedCars.com can help. We buy cars online to make it easy for you to get rid of your non-working vehicle. 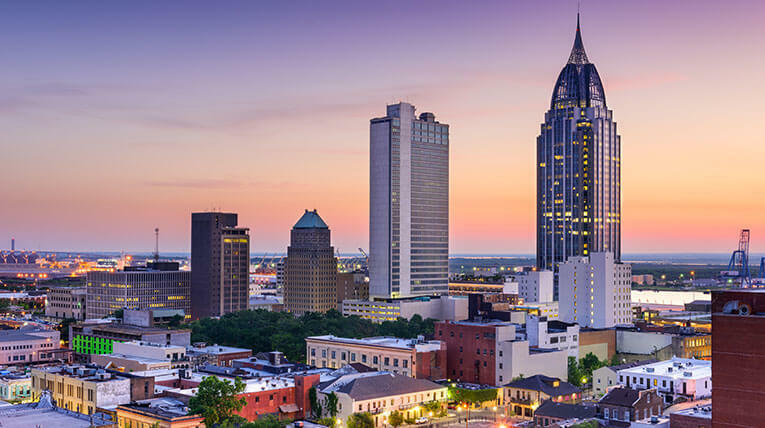 We offer cash for cars in Mobile AL and all of the surrounding communities. If you've been wondering, "Where can I sell my car in Mobile AL," the answer Is DamagedCars.com. 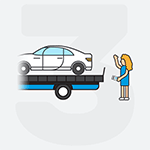 We'll give a guaranteed offer, arrange fast pickup and come to you to collect your damaged car. See how much your car is worth now. What should you know before selling to a junkyard or private buyers in Mobile?